Da Nelle hit a home run with this post. She includes recipes for 10 different popsicles. The ingredients are healthy and all-natural. On a hot summer day, both kids and adults will enjoy these homemade popsicles. Click on the 10 Ultimate Summer Popsicle Recipes! Link below to see all 10 recipes. 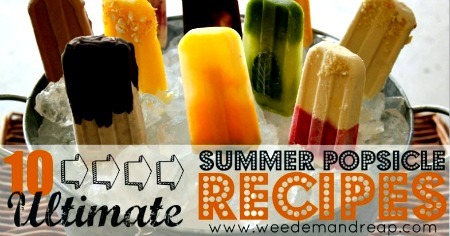 Filed Under: Food, Fun Tagged With: 10 Ultimate Summer Popsicle Recipes!